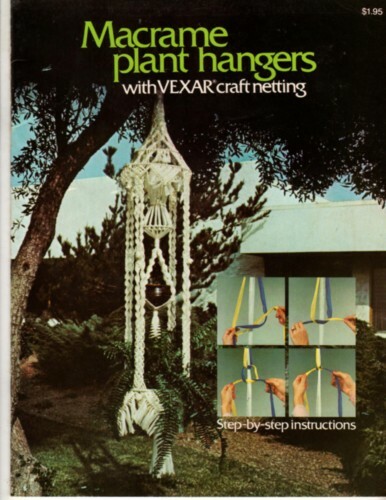 Macrame Plant Hangers with Vexar craft netting craft booklet. Copyright 1976. This vintage booklet appears to be in new to like-new condition. Instructions for thirteen hangers. Includes techniques knots, alternating and switching cords, and for when things go wrong. 35 pages.